Is it just me or does it feel like summer arrived on the scene like a sledgehammer in the middle of a tea party? Here in Dallas, it would have been 100+ degrees every single day starting two months ago, but this year we've been spoiled with a mild winter, an immensely rainy spring (odd for us), and a tolerable early summer. Now that it's in the triple digits the last thing I want to do is crank up my oven for a meal (even though I love, love, love roasting foods). So, I'm relying on my new crock-pot to slow cook a whole chicken or pork shoulder once a week that I can shred and turn into many different meals. 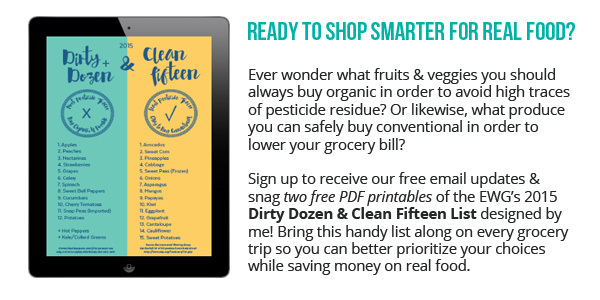 I also use it for prepping foods like slow cooker "baked" potatoes and one-off meals like crock-pot BBQ ribs (they are ahhhh-mazing). 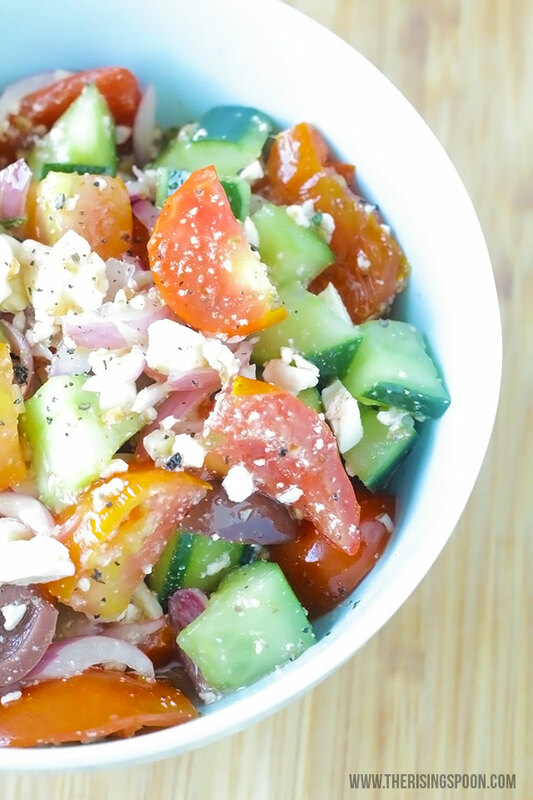 For side dishes, I'm opting for cold foods like mustard potato salad, apple cider vinegar coleslaw, sauerkraut, sliced salami + raw cheese, and this Greek-inspired tomato, cucumber, and red onion salad. I love that I can make (or buy) any of the above ahead of time and nosh on the leftovers at a moment's notice. Sidenote: I cannot fathom why some folks only use their slow cookers in the fall and winter. Hellooo...that's what the oven is for (and it heats up your house at the same time). Am I in the minority here? I hope not cause I love "dump and go" meals in the summertime that don't require standing over the stove! I served this Greek salad last month with blueberry mint kombucha mocktails + chicken avocado BLT croissant sandwiches, and couldn't wait to make it again. So when I came home from the farmers market last weekend with a huge pile of super ripe tomatoes, teensy red onions, and mini Yukon gold potatoes, I knew the time was right. I mean, they were hand picked by one of my favorite DFW farming families only hours before they landed on my kitchen counter. Can't get any fresher than that, unless you're eating it directly off the plant! This time around I switched things up a bit and decided to employ the same technique used for the beloved magic sauce recipe in my whole foods pizza dough post by warming the minced garlic, dried herbs, and extra virgin olive oil on the stove for a few minutes before adding it to the vinaigrette. Guys, this extra step is SO worth it. 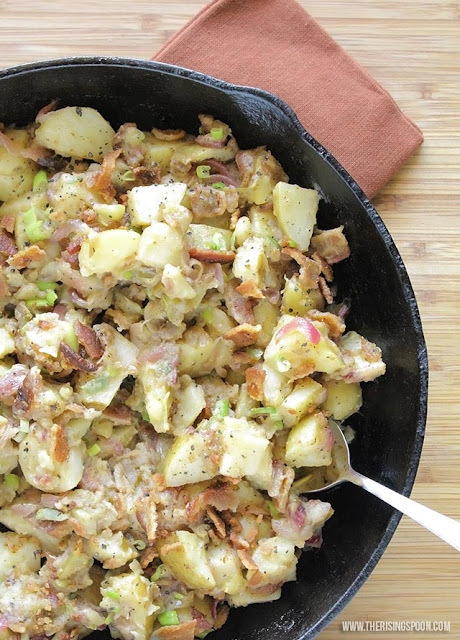 It infuses the olive oil with a lovely garlic and herb flavor that transforms the vinaigrette with hardly any work. In fact, I may start doing this with all my future vinegar based salad dressing recipes since it only takes an extra five minutes! From there, all you have to do is chop the veggies into big chunks, crumble the feta, snarf some of said feta before it hits the bowl (because cheese), do the same with the kalamata olives (snack time anyone? 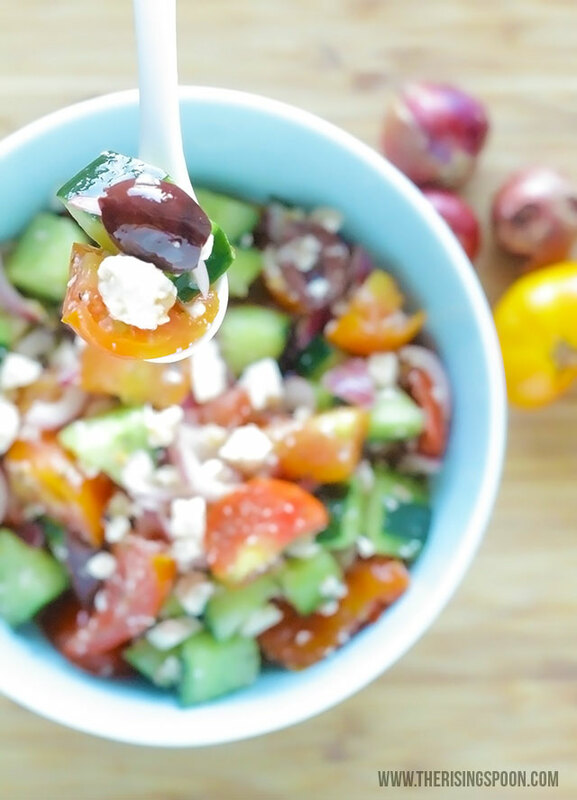 ), assemble and blend the vinaigrette (takes less than 2 minutes), taste test everything to adjust seasonings, pour it over all the vegetables, and bam...Greek salad! Oh, I forgot one thing. If you have iron willpower and a little extra time on your hands...wait AT LEAST 30 minutes before eating. The longer the salad marinates, the better it'll taste. It'll bring out the tomato juices and infuse all the veggies with herby, vinegary, garlicky goodness. Or, you can chow down immediately. Whatever floats your boat. 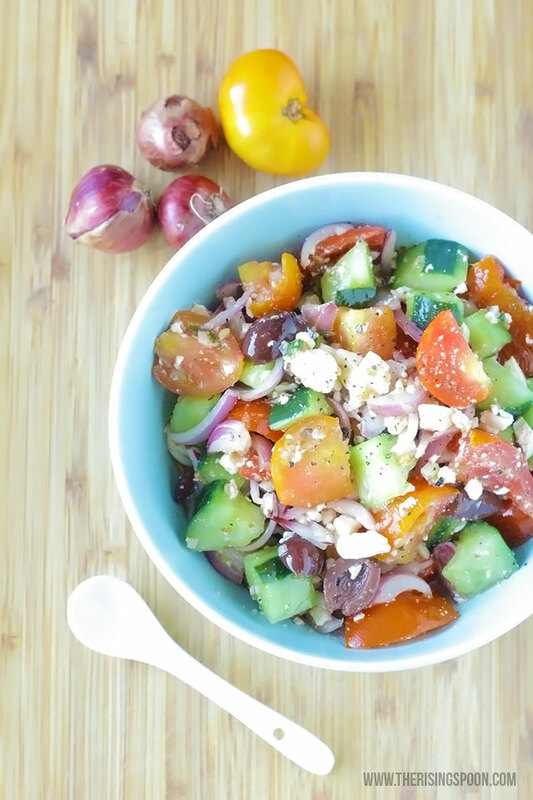 A healthy and refreshing Greek salad with chunky cucumber and tomato, sliced red onion, feta cheese, kalamata olives, and a garlic infused red wine vinaigrette dressing that only takes minutes to make. Peel and mince the garlic and pour the olive oil into a small skillet on low heat. Add the garlic, oregano, rosemary, and basil to the olive oil (if using fresh herbs make sure to chop them finely first) and warm the oil mixture for about five minutes, or until the oil becomes fragrant (it will smell lovely) but has not started bubbling. We don't want to heat it too much! Remove the skillet from the heat and let it cool while you chop the tomatoes and cucumbers into bite-sized chunks, then slice the red onion thinly. Place all the veggies into a mixing bowl, then add the kalamata olives + the olive juice, and crumble the feta on top. To make the vinaigrette dressing, combine the infused olive oil with the mustard, maple syrup or honey, red wine vinegar, sea salt, and black pepper and mix until the olive oil is completely emulsified. I usually place everything in a jar with a tight-fitting lid and shake vigorously for a minute (cause I'm lazy), but you can also use a whisk or immersion blender to get the job done! Pour the vinaigrette over the salad, gently mix everything together with a spoon or spatula, then season with sea salt and cracked black pepper to taste. Store it in the fridge so it can marinate for at least thirty minutes or longer. It's even better the next day! Since this recipe is so simple, the key to having it turn out excellent every time is to use a high quality vinegar and oil for the vinaigrette, full-fat feta cheese, and the freshest veggies and herbs you can find (in season is best for tomatoes, but this salad is great all year long). 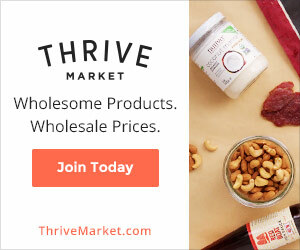 Look for genuine aged vinegar (not loaded up with extra sugar), unrefined or cold pressed cooking oils + organic seasonings at your local health food stores OR if you'd rather shop online for competitive prices, both Thrive Market and Amazon are good choices (I've found Thrive to be cheaper, but you might opt for Amazon if you have a Prime account). 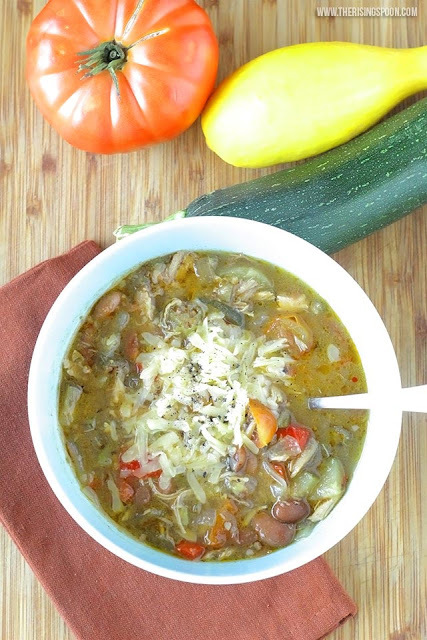 What's your favorite way to enjoy fresh cucumbers and tomatoes during the summer? 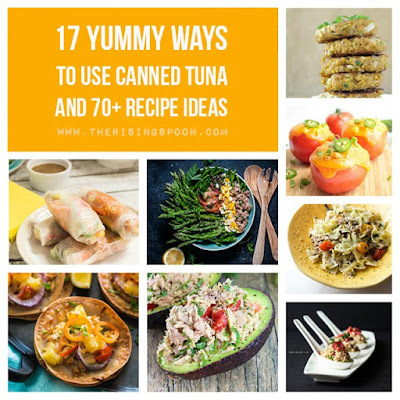 This post has been shared over at Full Plate Thursday.